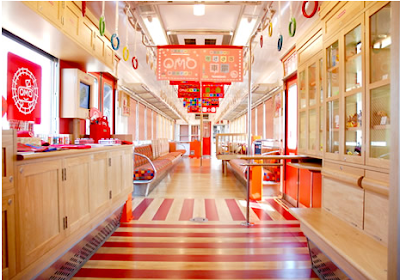 Trains that are nicely designed and for the family too. And the conductor is a cat. How cute is that? There are two of these beauties in fact, the Toy Train and the Strawberry Train. Each sporting features such as a crib, toys, TVs etc. Check out Deputy Dog for more pics and information and daddytypes for a more critical view.